– Economic downturn, and fiscal uncertainty affect everything from demand to investment. Ten years ago, $100 invested in major pharma stock would be worth approximately $110 today.¹1 Not exactly the ‘fast bucks’ playground some would like us to believe. – Innovation still thrives, but costs are rocketing. Increasingly tough regulatory hurdles that favour risk over benefit and the very nature of the more complex conditions being studied, exclude all but those with very deep pockets. Now, more than ever, society rightly demands full transparency, ethical codes of conduct and accurate, unbiased information from the healthcare industry. Unfortunately, the regulations aimed at protecting us also act as a barrier to pharma building that standard of dialogue. Yet it must, because we all, as patients, need a successful pharmaceutical industry. Future success requires the right climate – for innovation to flourish, for patients to have the information and choice they need, and for HCPs and payers to have data and tools in order to develop better healthcare systems. For that to happen, it is essential that all stakeholders fully understand the issues and challenges from an informed viewpoint. Too often the nuances of complex problems are lost in the rhetoric of entrenched positions. 1) The pursuit of profit, through finding solutions to healthcare problems, is often confused with ‘making money from sick people’. Yes, it’s a huge generalisation but it captures the gist of things. Leaner sales and marketing budgets, and tough business integrity codes will all help, but not if they are achieved behind ‘closed doors’. Industry needs to be clear over the economics of bringing innovation from bench to clinic, and why a legitimate and fair profit is important. 2) A lot of people just don’t trust science! And the fact that animals and humans need to be involved, only fans the flames. Of course, most people can see the necessity, but the underlying unease that human research can’t be totally trusted is subliminally reinforced by high profile failures, inaccurate reporting from some areas of the media, and of course, the mighty web! It is possible for pharmaceutical companies to establish a new channel with the public, enabled by social media platforms, but it needs to learn a new skill – that of holding an open dialogue, unencumbered with heavy moderation and slow copy approval. 3) There were also times when pharma became just too aggressive! Like it or not, in the battles for market share, too much was made of, and too much invested in, convincing prescribers that small differences (in relatively risk free head-to-head studies) made a big difference to clinical outcomes. On these ‘battle fields’ were the seeds sown for over-simplistic mechanisms that now limit access for new advances. Of course I generalise, and acknowledge that tremendous efforts have been made in the past five years to get back to the heart of where the pharmaceutical industry belongs, but there is a tarnish that will take much to remove. Once again, that will require a sensible conversation to happen and a change of tone. It is uncomfortable for large corporations, but all industries now have to accept that they can no longer ‘control communication’ and the quality of engagement with society matters more than the polished delivery of ‘Key Messages’. Listen, understand and discuss, should be the new management speak. 4) Industry has, to some extent, found it difficult to think of patients as something other than consumers, and tended to engage with patient groups only when it had an access issue, a launch or some new data. The opportunity is much greater than this! Patients are becoming increasingly knowledgeable and influential and they have a key role to play across the spectrum of activity that pharma is engaged in. As patients become more involved with access decisions (‘we will strengthen the collective voice of patients’), their role in shaping studies and outcomes will be critical.³ Already patient groups play a key role in policy shaping and lobbying for change. 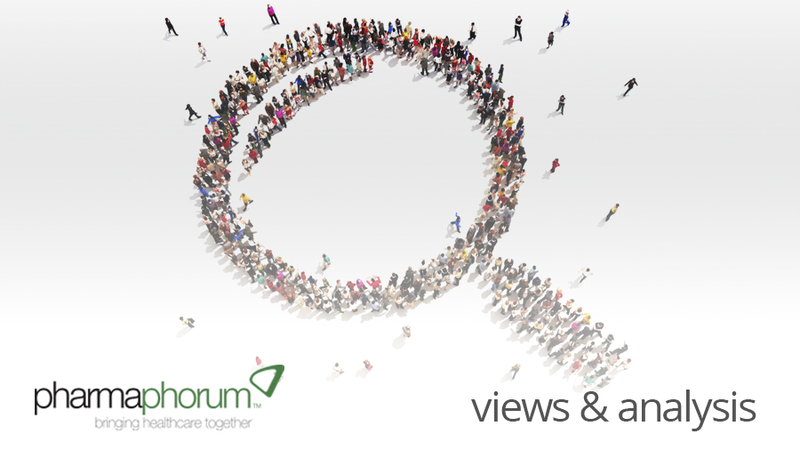 In a recent, and significant survey of 887 patient groups in the UK, 80% reported that they lobby at either national or local level, and 243 cited recent positive outcomes.4 Pharma needs to look further ahead to find common ground with patient organisations and engage for the long-haul, and perhaps much of this needs to be achieved at the local level, where public service disinvestment will be felt most keenly? So, we all know the challenges that the pharmaceutical industry needs to address. We live them everyday! There are a number of negative issues that won’t go away until fuller trust and understanding is established – that will take years and also, I believe, a change of tone. There are many tremendous achievements that should be showcased to the largest possible audience but it seems to me, that an undercurrent of fear prevents pharma from fully engaging with society. Of course, there are real regulatory challenges, but there’s still plenty of room for those prepared to work carefully within the rules. The major advances in the treatment and management of conditions that were once life-threatening, is something to be hugely proud of, but until pharma learns the art of conversation, these good things will go unnoticed and the media ‘Punch and Judy Show’ will continue to shape public opinions. Mat Phillips has 23 years sales and marketing experience in the pharmaceutical industry. Neovoca is a new voice looking to help build ‘ a legitimate and valuable dialogue’ between patients and industry. What’s preventing pharma from engaging more with patients?